How can social profile links in the footer be setup? 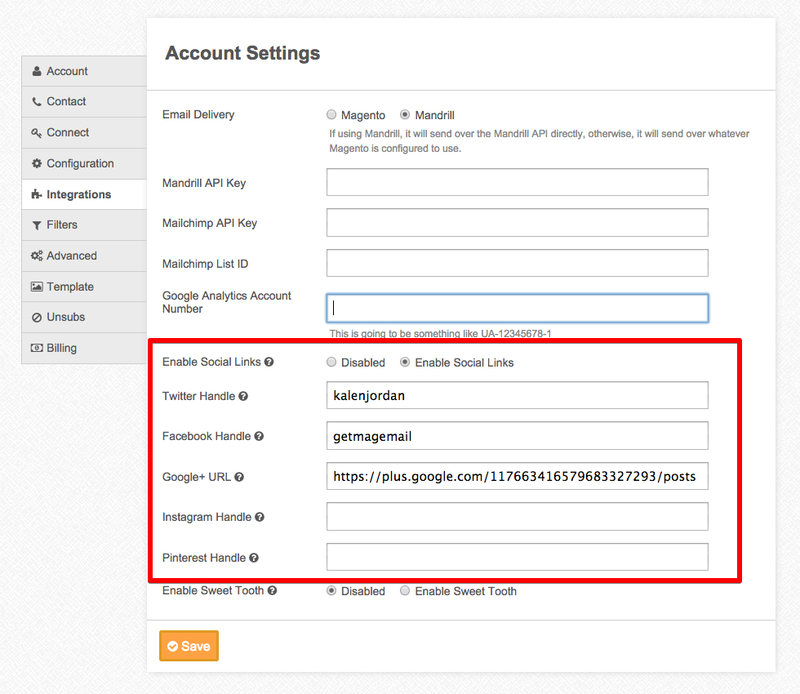 You can setup your social profiles under *Settings* > *Integrations* > *Enable Social Links* and then drop your social profile usernames in place. If you have a social profile that isn't available there, just let me know.